Businesses receive a number of benefits from running their IT operations within virtualized cloud environments, including: automation, economics and efficieny. 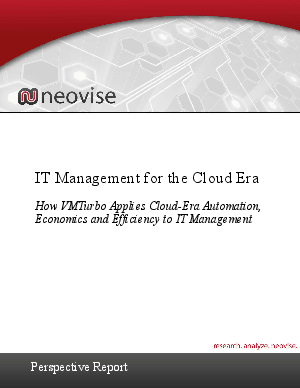 Yet, as more mission-critical applications and workloads are run within cloud environments, IT staff lack the means for effective management. Read this white paper to learn about new tools your business can utilize that meet cloud-era demands and deliver the same benefits as cloud computing.